Tag Heuer will introduce a Limited Edition Formula 1 timepiece themed after Cristiano Ronaldo, it has been announced at Baselworld this year. 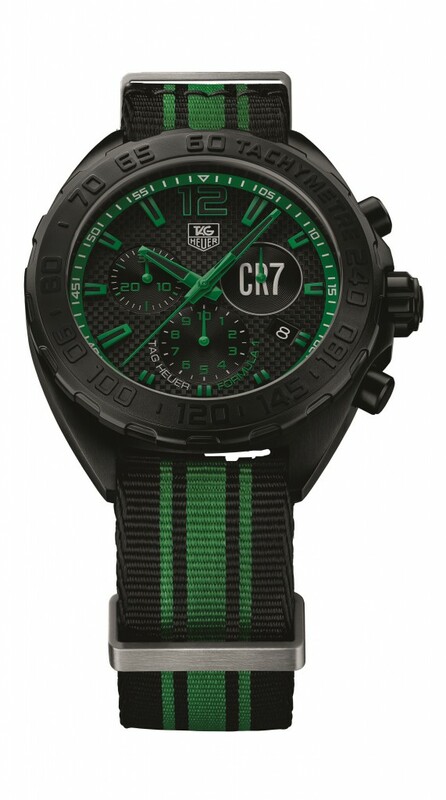 The piece, manufactured in black titanium carbide coated steel comes in green, to represent Ronaldo’s symbolic colour. 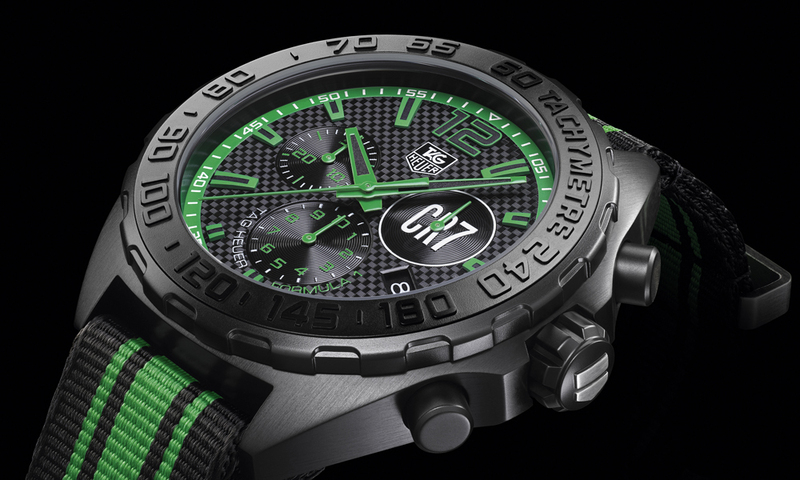 It has been designed in collaboration with Cristiano Ronaldo and celebrates his role as an ambassador for Tag Heuer. Its 42 mm case houses a Ronda 5040D quartz chronograph movement and features a tachymeter scale that surrounds the bezel. The caseback features an engraving of a football with the text “CR7”. Each timepiece is supplied with a black NATO strap that boasts green stripes offering a sporty look. 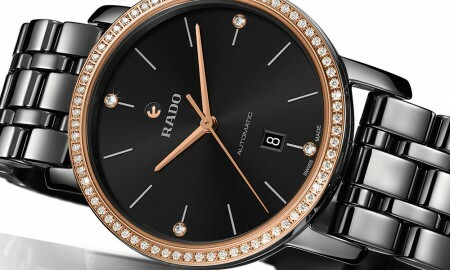 It is water resistant up to a pressure of 20 bar – that’s 200 meters or 660 feet. In addition to the Cristiano Ronaldo Limited Edition, it was previously announced that Tag Heuer would release both the Tag Heuer Formula 1 David Guetta Special Edition and Tag Heuer Formula 1 McLaren Limited Edition. 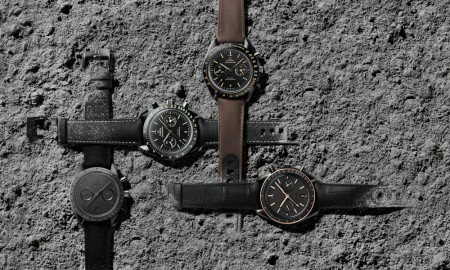 They will all be exclusive to a limited number of pieces. The Tag Heuer Formula 1 – Cristiano Ronaldo Limited Edition will be exclusive to 3,000 pieces worldwide, it has been confirmed.